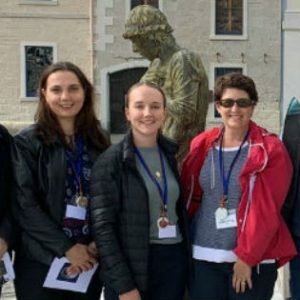 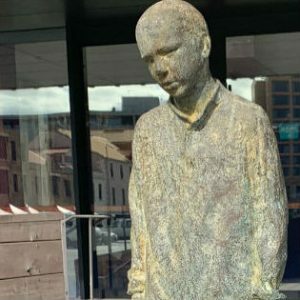 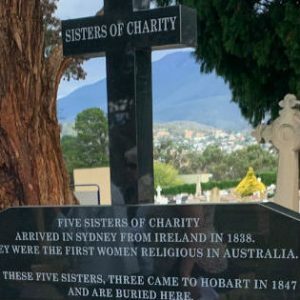 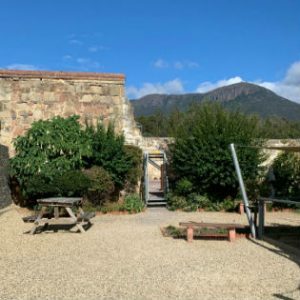 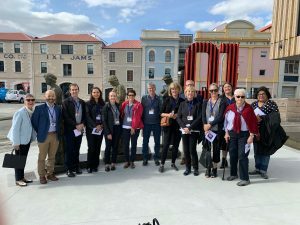 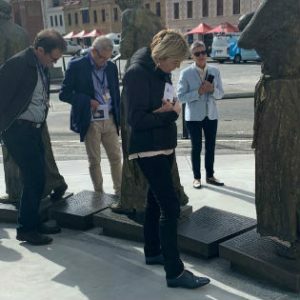 The ongoing connection to the legacy of the first three Sisters in Tasmania, Sr M. John Cahill, Sr M Francis de Sales O’Brien, and Sr M. Francis Xavier Williams was most evident at St Aloysius Catholic College, Kingston and Mount Carmel College, Sandy Bay. 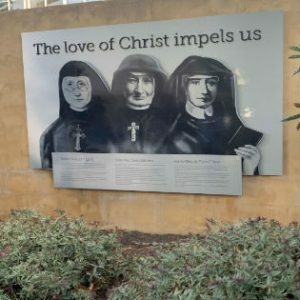 At Mount Carmel College in particular, I was struck by the strong sense of the heritage of the Sisters of Charity and how this has been embraced by the school today. 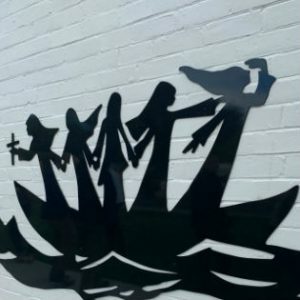 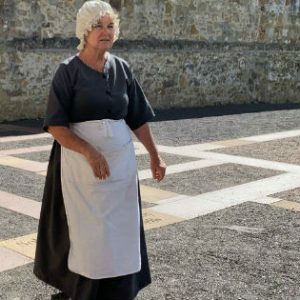 Images: 1 – Pilgrimage group; 2 – Mary Aikenhead Ministries logo; 3 – Cascades Female Factory; 4 – “Mary”, part of the historical reenactment; 5 and 6 – murals at Mt Carmel College; 7 and 8 – Footsteps to Freedom statues on the Hobart docks; 9 – gravesite of the early Sisters; 6 – Sisters of Charity Congregational staff members, Natalia Didenko (left) and Imogen Kennard-King (centre with another pilgrim) on the docks in Hobart.